Snoring is an unconscious habit that occurs in millions of households on a nightly basis. It is one of the most common disrupters of a good night’s sleep. Snoring is also something that is frequently looked at as nothing more than an annoying habit. This could be a dangerous perception to hold. Snoring is not, in and of itself, the problem. It is a symptom of something else. The direct cause of snoring is that the airway is partially blocked. You may snore when your seasonal allergies act up, or when you have a cold because the tissue along your nasal passages becomes inflamed and swollen. Snoring means that air is moving over soft tissue, and vibrating it as it goes. Sometimes, though, there is more to snoring. If you or a loved one snore loudly night after night, you might notice some interesting details. Snoring may stop every so often, and then start up again. When it does, it may be with a gasp or a choking sound. These nuances indicate a sleep disorder, not just snoring. Most of the time, the effects of poor sleep are the first sign that a sleep disorder may be a health concern. If you or your loved one describe sleep as restless, frequently wake up with a headache or a sore throat, have difficulty concentrating during the day, or fall asleep at stoplights, it’s time to see a doctor. Treatment for obstructive sleep apnea is developed around individual need and the severity of the issue. Some patients are prescribed CPAP medical therapy, which opens the airway with gentle air pressure delivered through a hose and nasal mask. Another common conservative treatment is to position the jaw using a custom made the oral fixture. 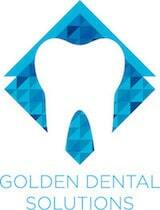 Your dentist in our Golden office can help you make strides toward better sleep. To learn more about obstructive sleep apnea and oral appliance therapy, call (303) 277-9600.